Authentic Light: The Greatest Trial? What I like to do here on Sundays is present a small portion of the Bible and then let some especially wise members of the Christian Movement talk to us about it. Since it is Lent and Jesus-followers around the world are reliving the 40 days he fasted in the desert, why not turn our minds to Mark's brief, enigmatic description of that event. Matthew and Luke describe Jesus' titanic struggle with the Devil during that time (John doesn't mention it all). 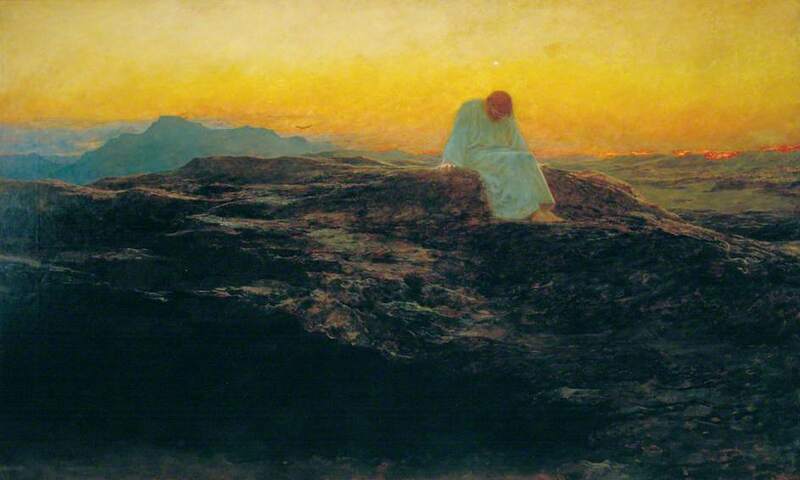 At once the Spirit made him go into the desert, where he stayed forty days, being tempted by Satan. Wild animals were there also, but angels came and helped him. You see how the Spirit led him, not into a city or public arena, but into a wilderness. In this desolate place, the Spirit extended the devil an occasion to test him, not only by hunger, but also by loneliness, for it is there most especially that the devil assails us, when he sees us left alone and by ourselves. In this same way did he also confront Eve in the beginning, having caught her alone and apart from her husband.